Yes, you may have taken care of your business or product branding. You may even have a professional business address and office space in a prestigious office building. Too often what many entrepreneurs and small business owners forget to take care of is their own personal brand. 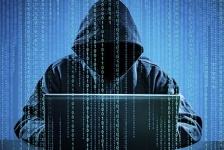 This means that people also want to know who is behind your product or service. They want to trust you and not just your product. Your potential customers want to know who they are working with and why they should be dealing with you. 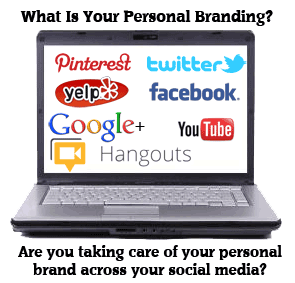 Personal branding is much like social media. It is about making a commitment of defining yourself as the leader of your small business and how your leadership shapes the manner in which your company will serve your customers. Personal branding is very powerful because it is about sending a clear, consistent message about who you are and what you have to offer as a small business owner and company leader. Any self-respecting small business owner will have a fully completed, content-rich and personally engaging Facebook, LinkedIn or Google+ page, knowing that their potential customers will be looking for it and viewing it. What else is there for prospective customers or clients to see? Make sure that the content across all your social media is consistent and reflects your character and product expertise in your field of knowledge in your specific business category. Remember that blog posts on the company website, positive posts on relevant news sites, even blog posts on your personal website are things that enhance your personal branding. All of your personal branding adds up to demonstrating that you are the “go-to” expert in your field. This is what your potential clients and prospects want to see. Besides searching for the keywords that describe your product or service offering, people will also look to their social media contacts to discover companies their friends and trusted partners are dealing with. You have to remember that people still prefer to buy from people and not from companies – so if your prospects do not feel like they can they can trust you or like you, they likely won’t do business with you either.